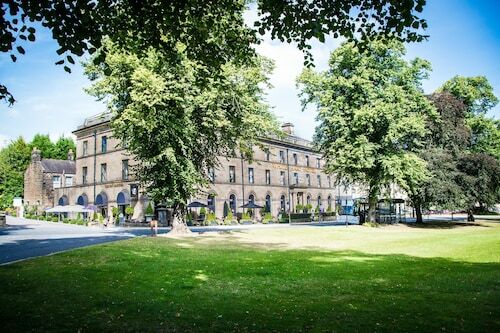 Located in the heart of Harrogate, this eco-friendly hotel is within a 10-minute walk of Royal Hall and Harrogate Convention Centre. Turkish Baths and Health Spa and Mercer Art Gallery are also within 10 minutes. Harrogate Station is 13 minutes by foot. 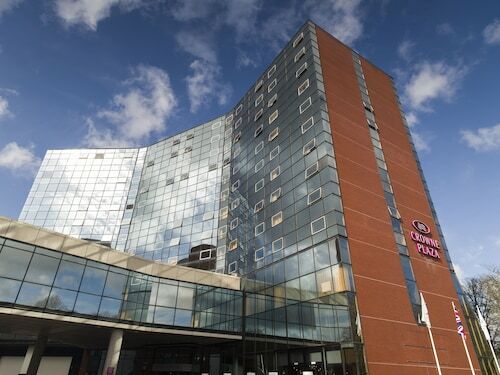 Located in Harrogate City Centre, this hotel is within a 5-minute walk of Royal Hall and Harrogate Convention Centre. Turkish Baths and Health Spa and Mercer Art Gallery are also within 5 minutes. Harrogate Station is 10 minutes by foot. 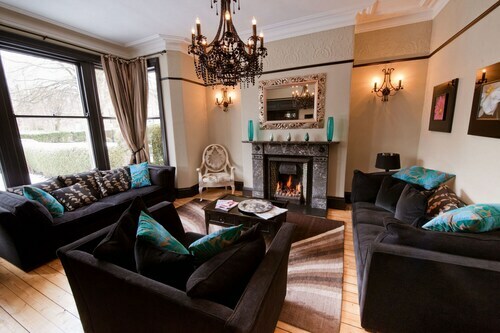 Situated in Harrogate, this luxury guesthouse is within 1 mi (2 km) of Harrogate Theatre and Harrogate Convention Centre. Royal Hall and Turkish Baths and Health Spa are also within 10 minutes. Harrogate Station is 10 minutes by foot. 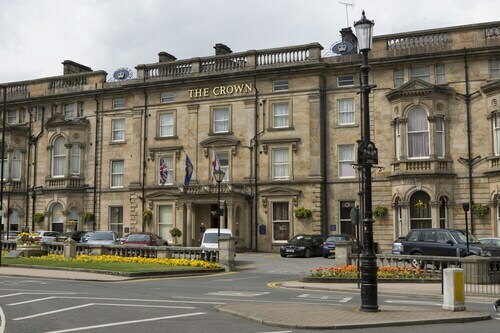 Located in Harrogate City Centre, this hotel is within a 10-minute walk of Royal Pump Room Museum and Harrogate Convention Centre. Valley Gardens and Mercer Art Gallery are also within 5 minutes. Harrogate Station is 9 minutes by foot. How Much is a Hotel Room in Harrogate? 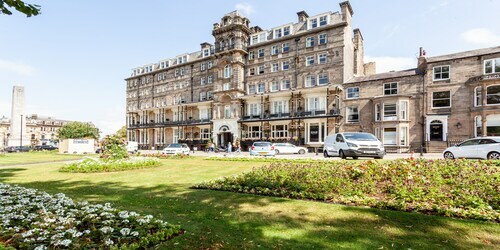 Hotels in Harrogate start at $48 per night. Prices and availability subject to change. Additional terms may apply. North Yorkshire offers a diverse range of neighborhoods to choose from, including Harrogate, which you'll find 18 miles (29 kilometers) to the south of downtown North Yorkshire. There's plenty to do in North Yorkshire. Make plans to check out some of the area's great tourist spots, including the York Minster, Fountains Abbey and Whitby Abbey. 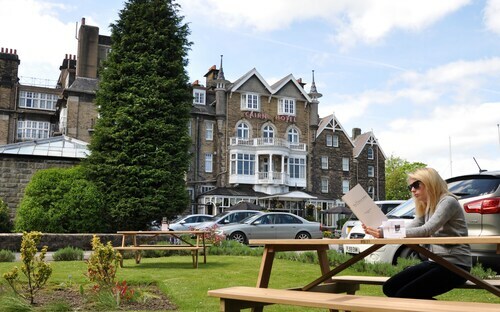 Travelers who are planning to spend some time in Harrogate will be in an excellent location from which to check out the Turkish Baths and Health Spa, a popular North Yorkshire sight. 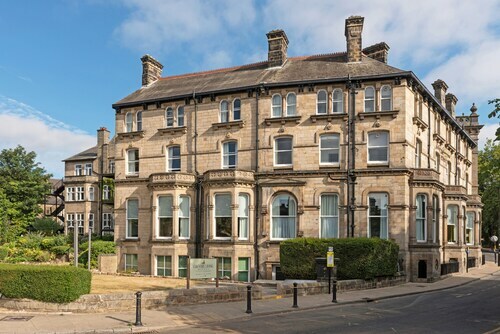 If you and your family are vacationing in Harrogate, the The Grafton and Harrogate Boutique Apartments are a short walk away from the Valley Gardens. However, the The Old Swan Hotel Harrogate and Cairn Hotel are all located in closer proximity to the Harlow Carr Gardens, should you prefer. 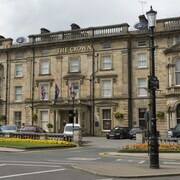 Included in the wide array of Harrogate hotels are some budget choices, such as the Alamah Guest House and Sophie's B&B. Roaming in North Yorkshire and thinking of staying in Harrogate? If you can't find any suitable Harrogate accommodations, you should look into securing a room in the nearby destination, Knaresborough. Thinking about a vacation in North Yorkshire? You will like to know Travelocity has a range of hotels and other accommodations. Nice rooms, wonderful food, great customer service, an inn with loads of personality, and an adorable village that we love -- enough said! Room heating thermostat clicks all night, switches off heating when room not occupied, come back to v cold room.Restaurant badly managed, staff useless, dont speak Englisg v well, long waits for food 1hr 14 mins for main course.Poor quality & expensive"